For a global brand like FILA, brand identity is absolutely critical for success. 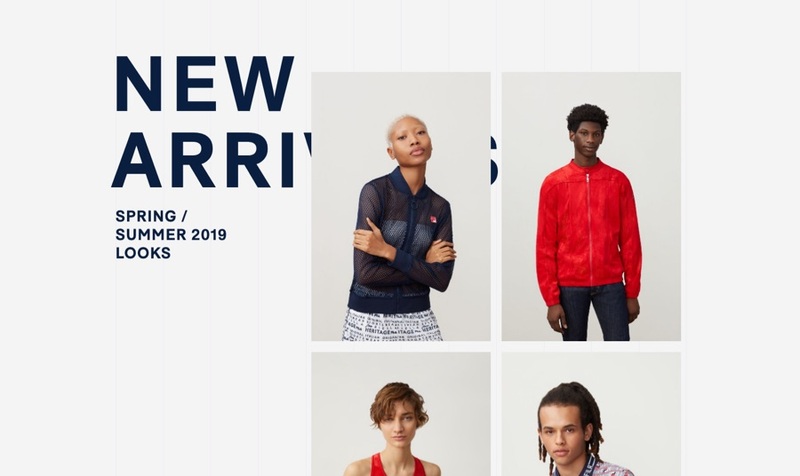 With a large number of distributors and licenses serving specific geographical markets, FILA was struggling to meet these objectives across a number of websites and ecommerce platforms. 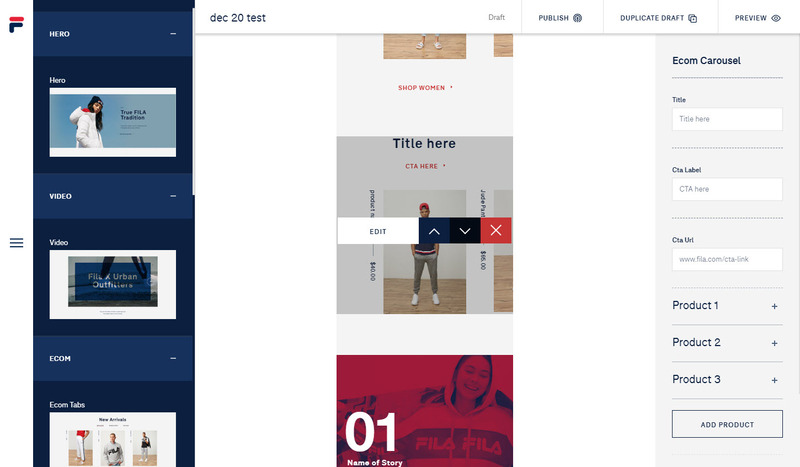 With each of these managed outside of FILA's corporate walls, the Global Digital team needed a solution that would help them protect the brand while keeping things efficient and relevant. FILA hired Southern California based, PIVOT, to design and develop a custom Content Management System (CMS) that would allow their team to create a great centralized experience, distribute the code to regional teams around the world, and allow for local customizations of content inside the tool. 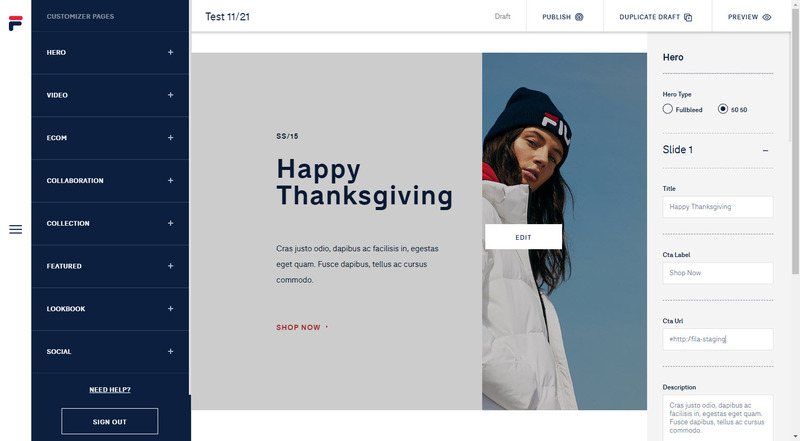 The FILA Global Experience Manager website was a custom application, designed and built by PIVOT in Vue.js and Drupal. The tool was launched in November of 2018, and has become an invaluable tool for all parties. 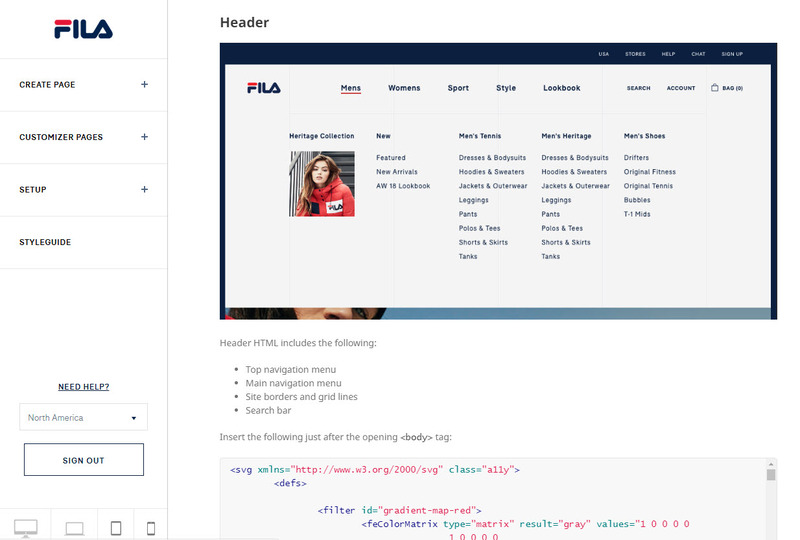 For the Global team, they now have a much easier and more efficient way to distribute content and enforce guidelines to protect the brand identity. For Local teams, the tool saves them time from having to recreate the code from scratch while allowing for necessary adaptations to better serve their market.